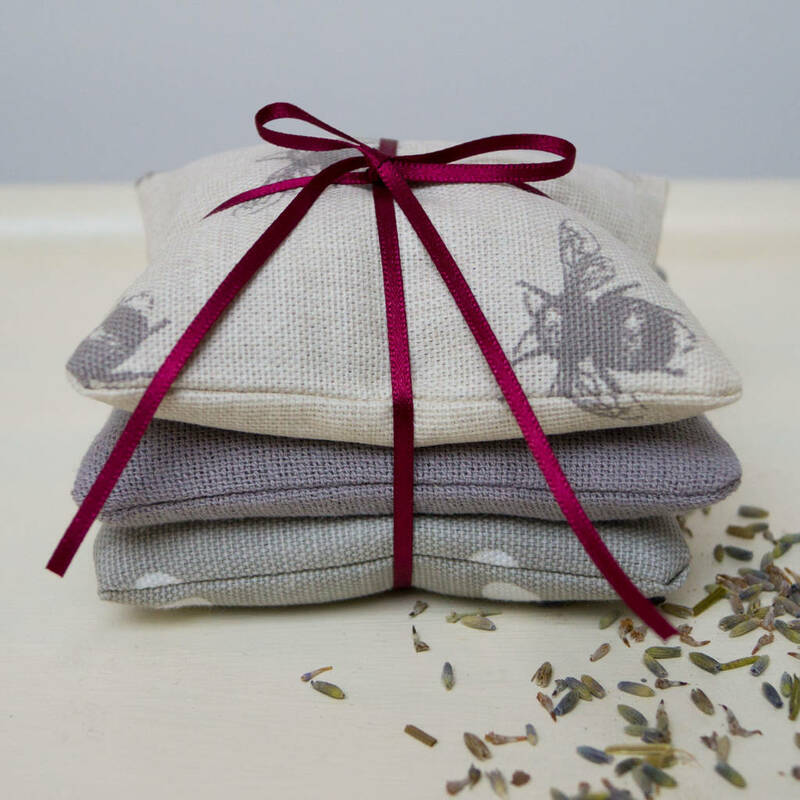 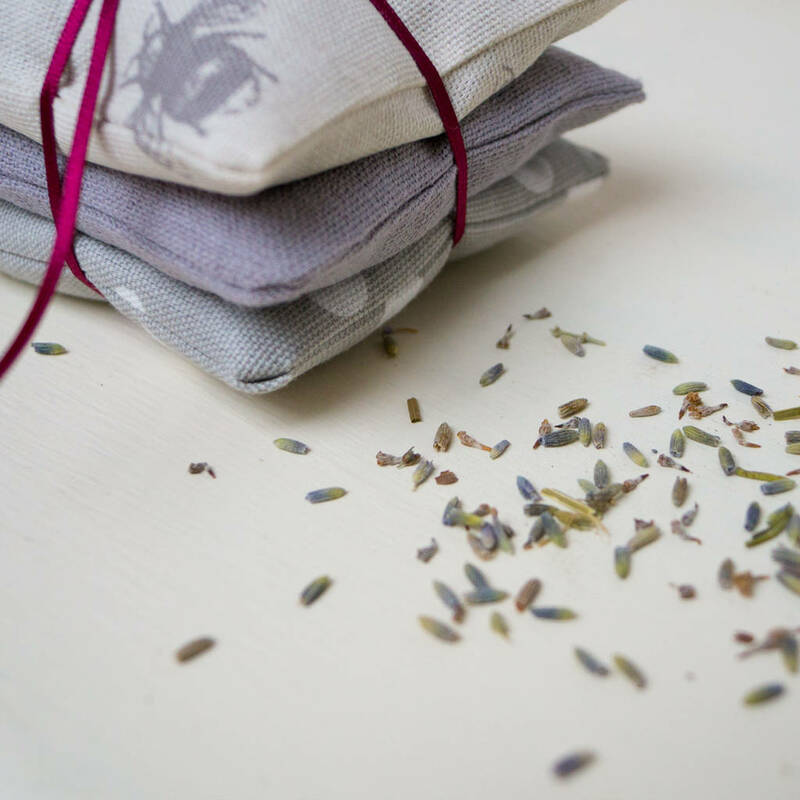 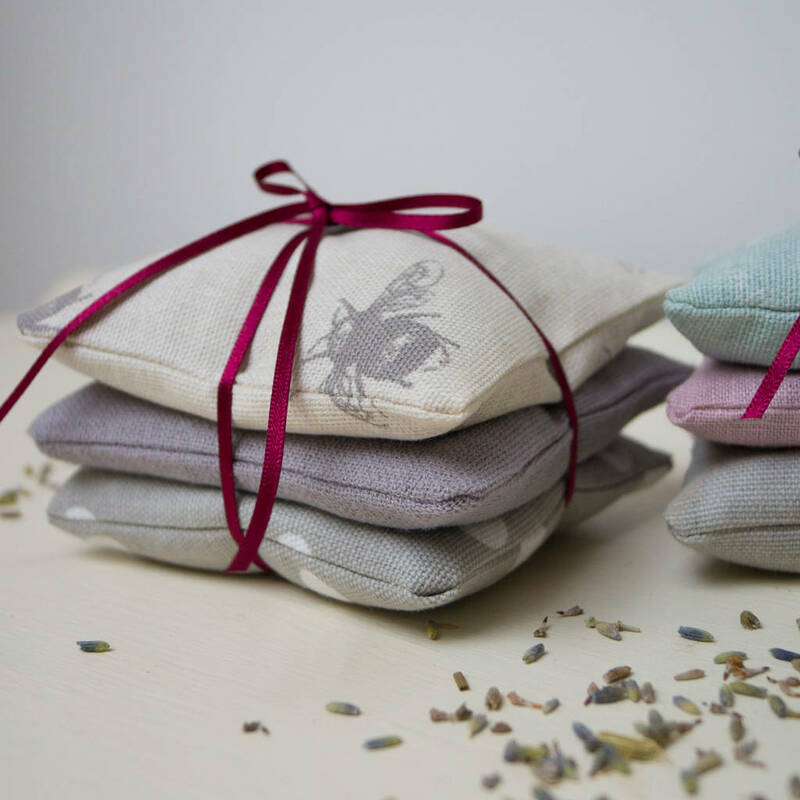 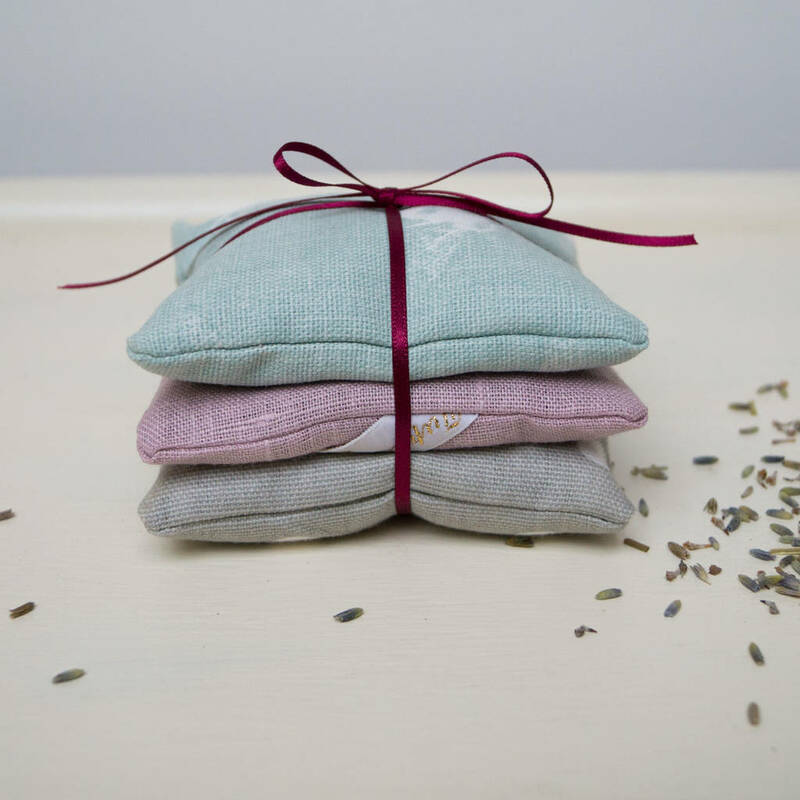 Give your home a natural fragrance with a beautiful lavender bundle. 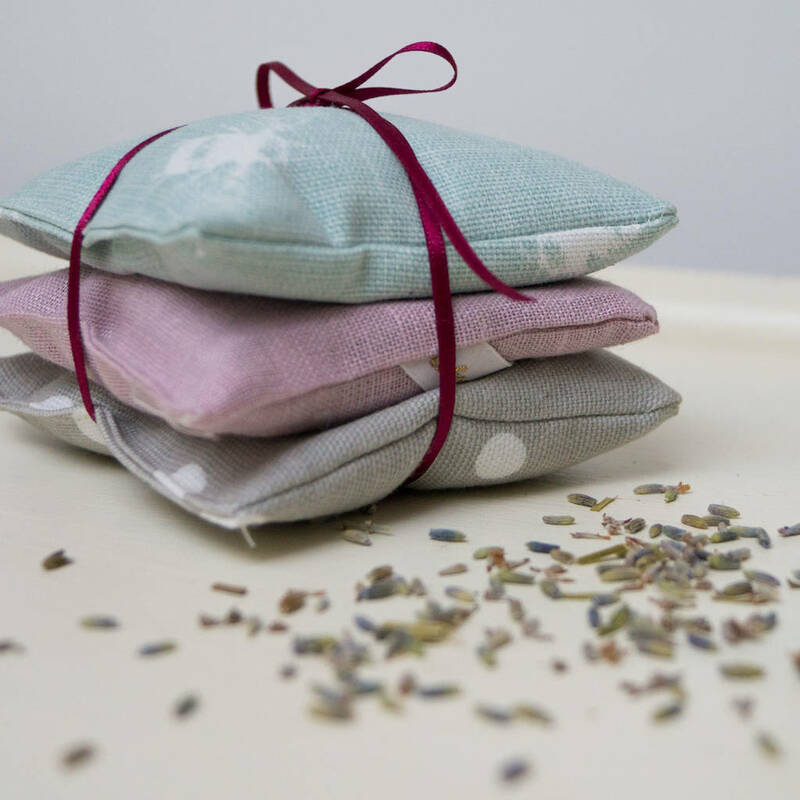 Made up of 3 sacks, filled with french lavender and each one a different fabric in natural colours, so will sit perfectly in any room. Each sack is finished off with a Tuppenny House Designs label, and are tied together with a thin satin ribbon. 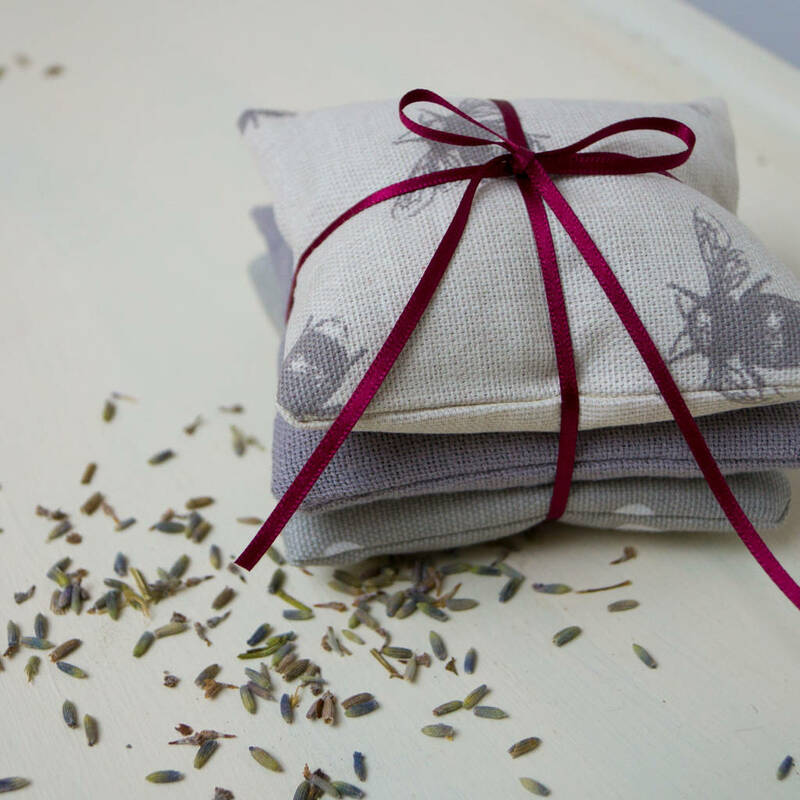 This product is dispatched to you by Tuppenny House Designs.